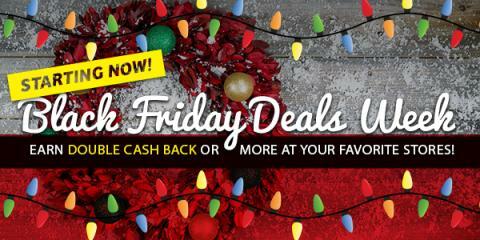 Looking for the greatest deals on holiday shopping, particularly with Black Friday and Cyber Monday coming up? Swagbucks is providing more cash back from stores like Amazon, Walmart, Best Buy, or Target - grab cash back or gift cards for your favorite stores! Swagbucks will also provide amazing one-day deals to try out new products and services, earning you additional free gift cards. This page has everything you require to take advantage of some great "shopportunities" for Black Friday and Cyber Monday and the whole week leading up to them! This page will be updated each day with new deals and opportunities to help you grab more free gift cards. If you haven't heard of them, Swagbucks.com is a quick, easy way to earn cash back and get free gift cards simply by shopping and searching online or doing different everyday activities like taking surveys or looking at videos. When you do those things, you earn points (called SB) that you simply redeem for PayPal cash or gift cards to all your favourite places like Amazon, Walmart, Target, Starbucks, and more! Just for signing up through me, you will earn a 300 SB bonus when you earn 300 SB before December 1st - if you spend at least $25 shopping through Swagbucks during that time, you will even get another 200 SB bonus! Take advantage of all these great deals!